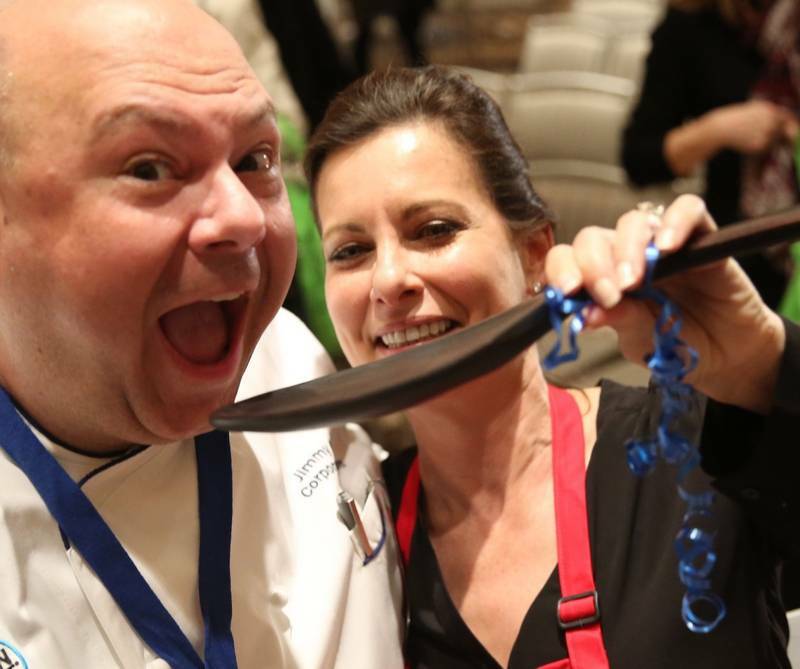 COTW 2017: Another Fabulous Foodie Event! 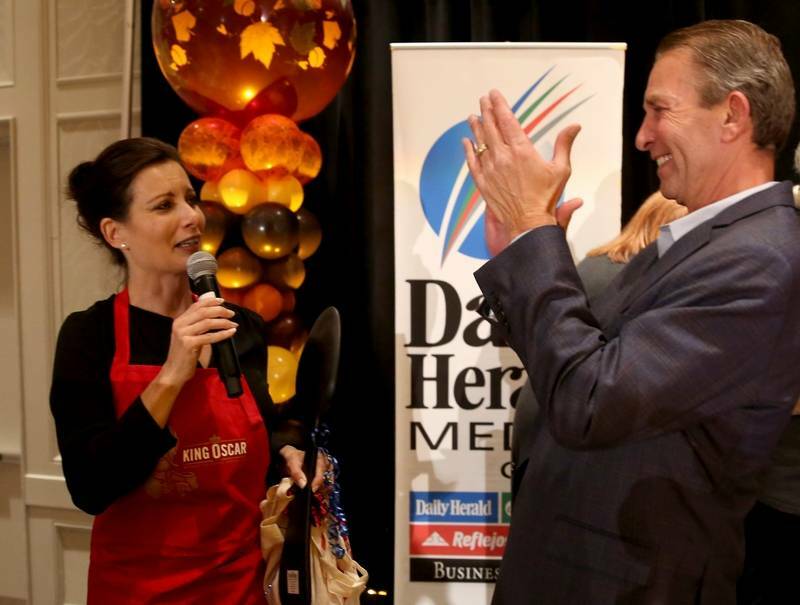 Elizabeth Schuttler of Inverness was crowned the Daily Herald’s 2017 Cook of the Week Challenge winner at the Nov. 13 event, in front of dozens of her supporters. 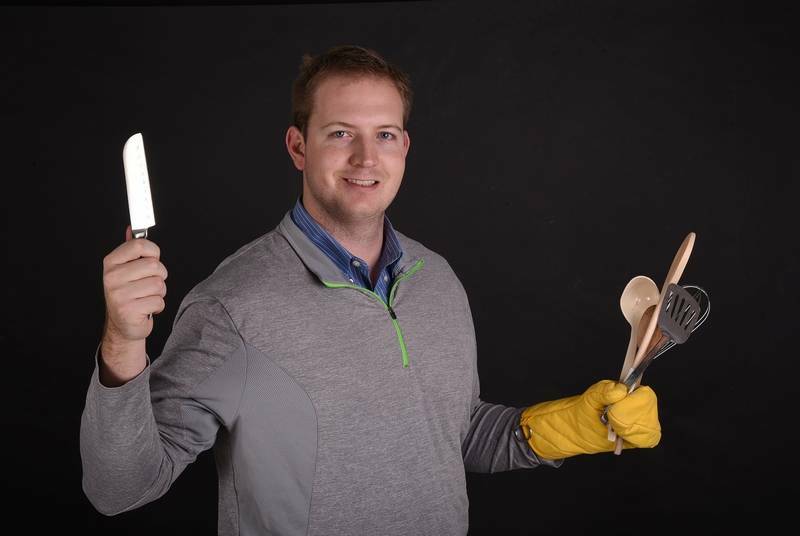 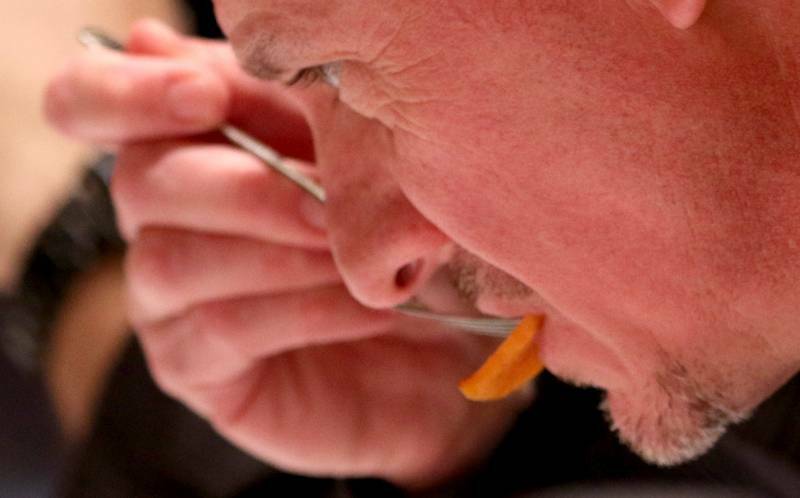 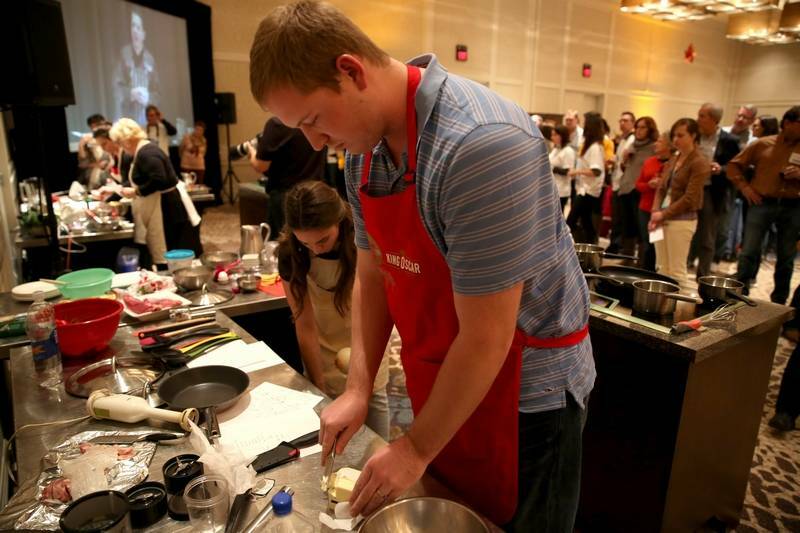 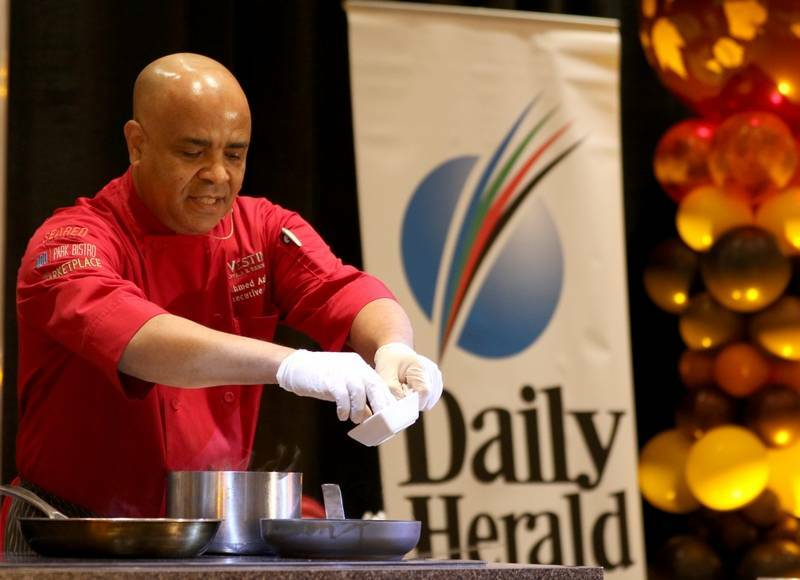 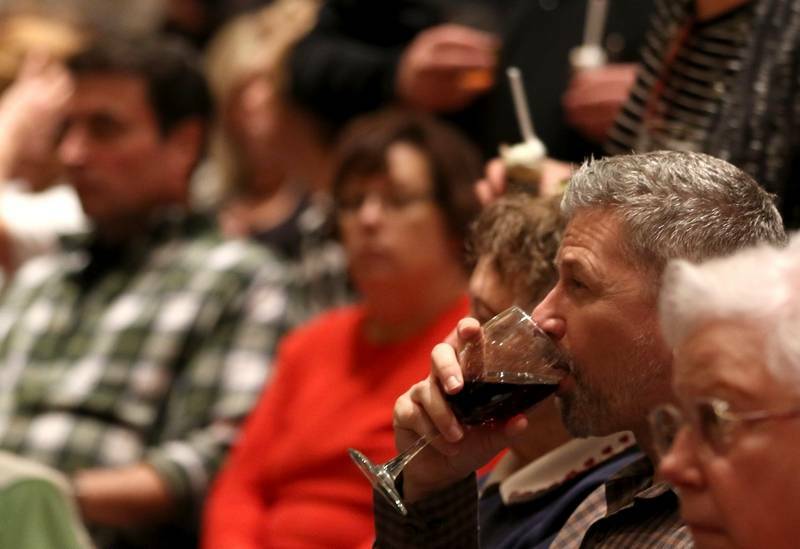 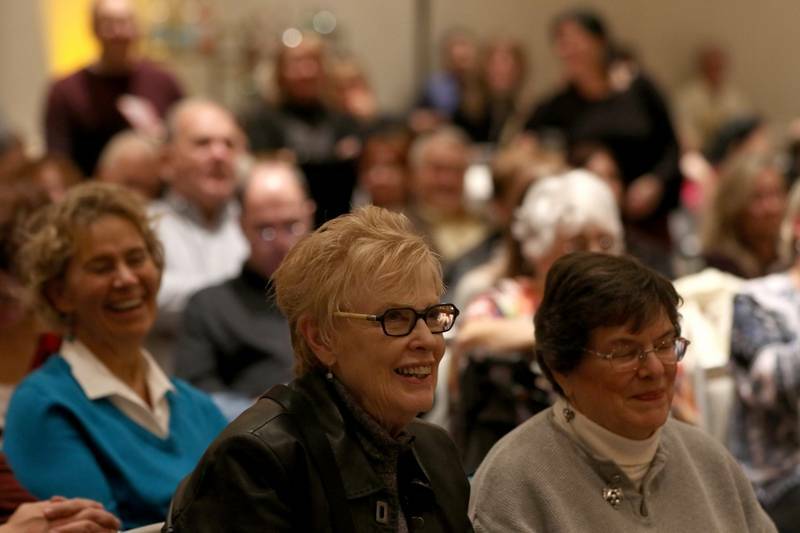 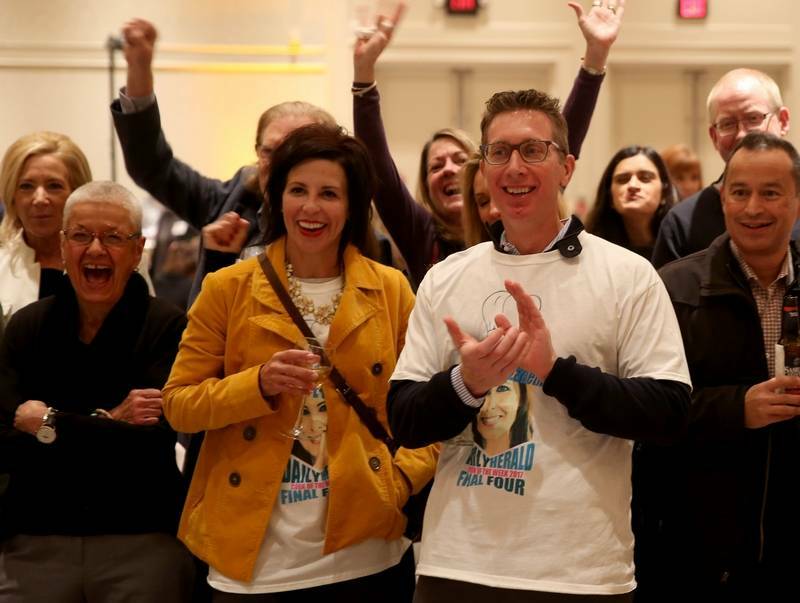 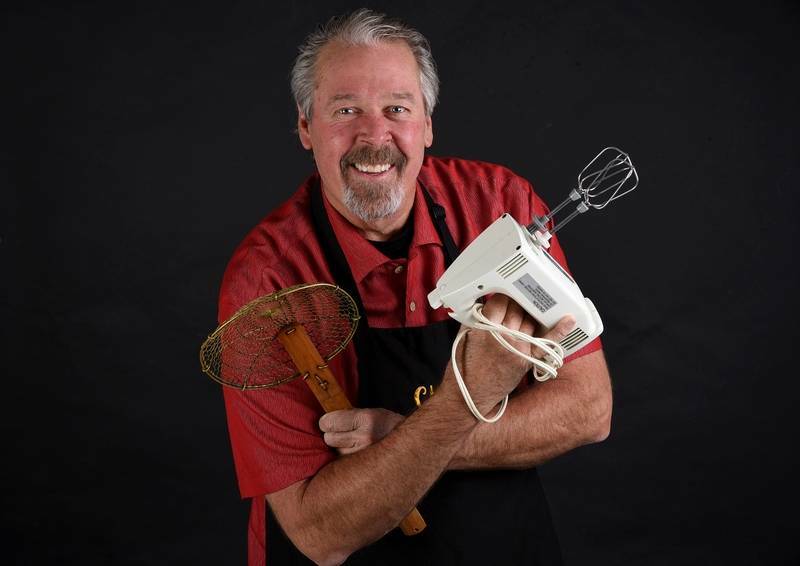 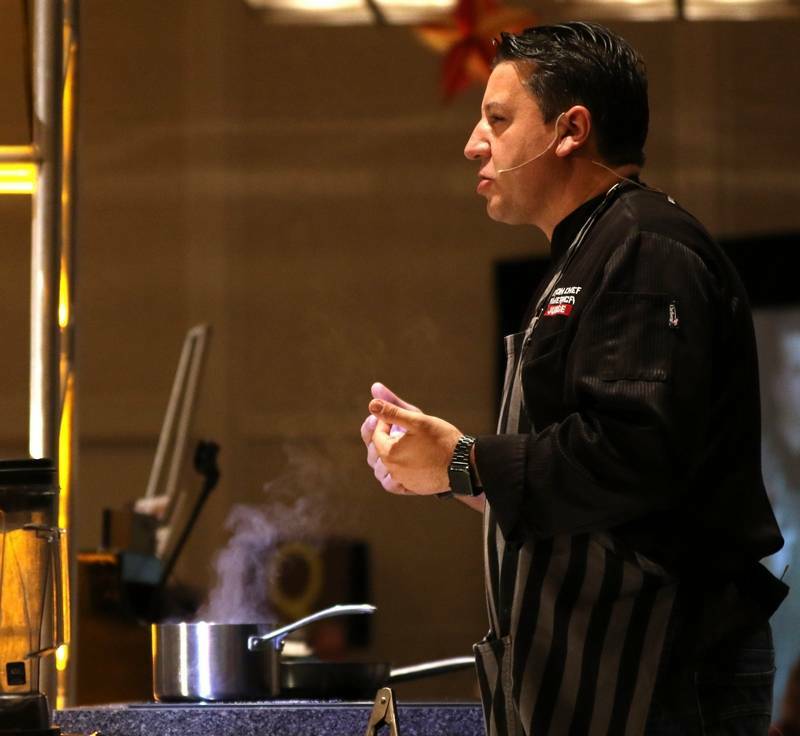 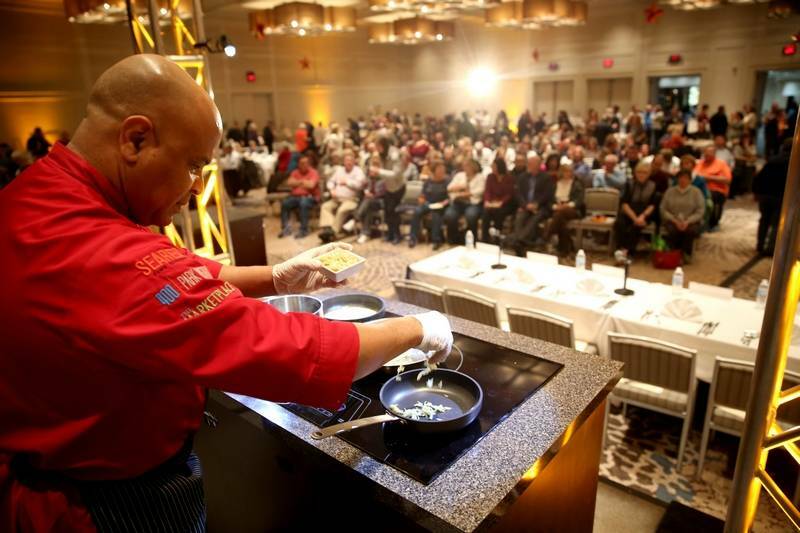 Schuttler went home the winner of the seventh annual contest after an hour long cooking frenzy in front of an audience of 400 foodies at Westin Chicago Northwest in Itasca. 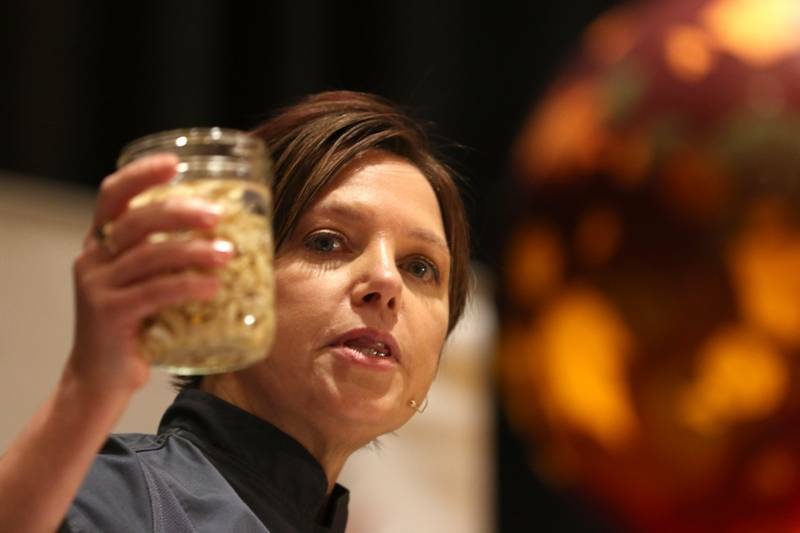 Schuttler, 49, described her winning dish as a stuffed roulade of beef shoulder marinated in cider with orange, on top of chive and goat cheese mashed potatoes with kale, red peppers, broccoli raab and crispy pancetta, topped with a mushroom and shallot cream sauce. 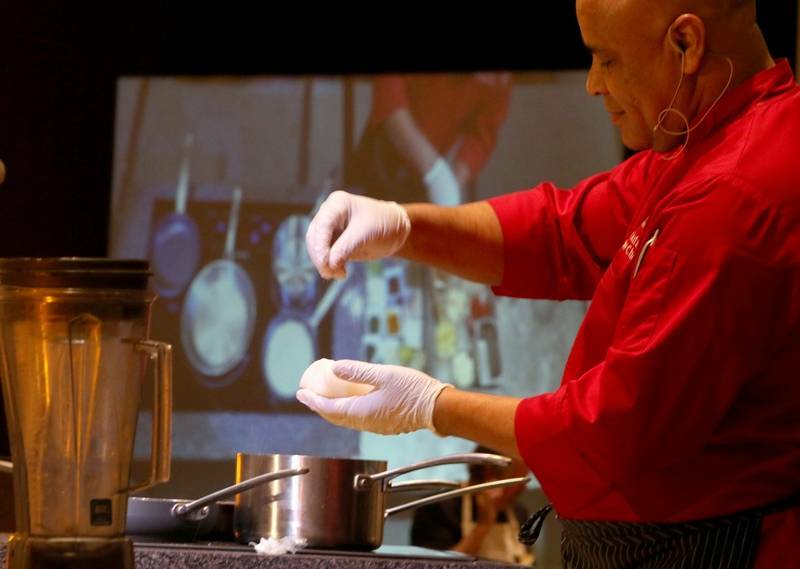 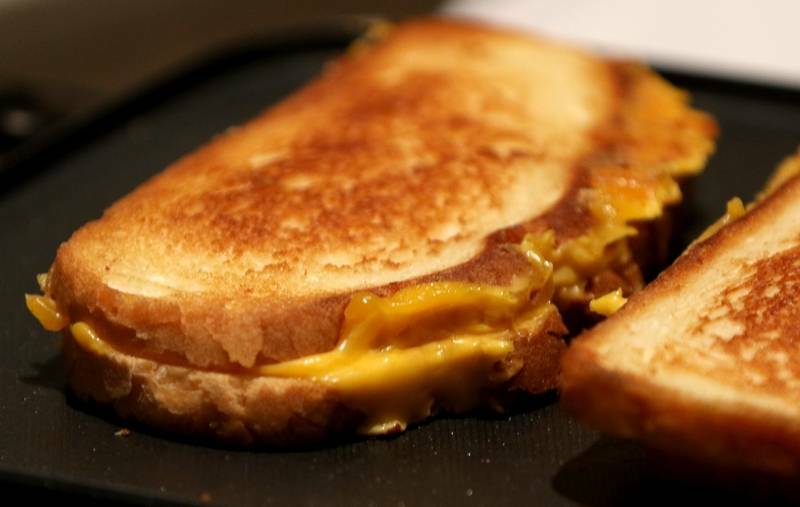 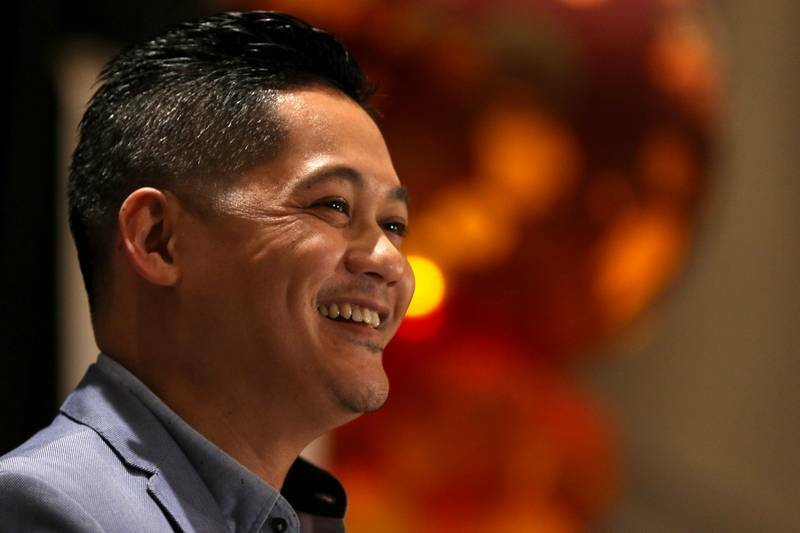 The dish combined five components on Monday’s secret ingredient list, which contestants received only an hour or so before the 60-minute cooking clock started ticking. 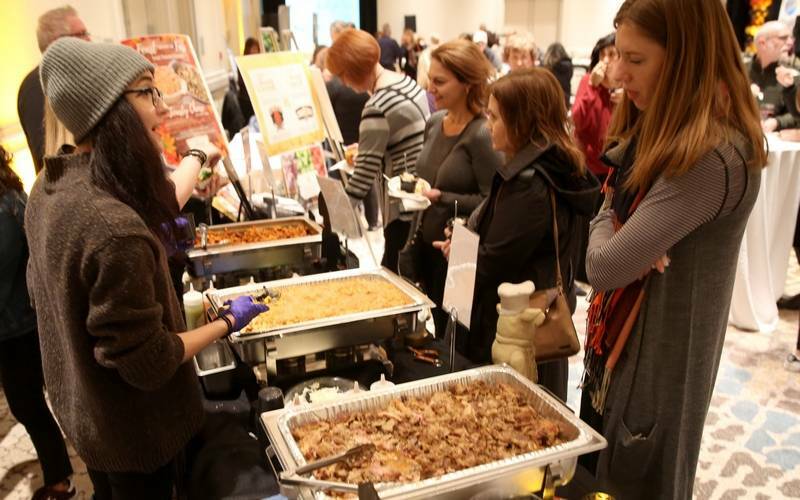 Required ingredients were beef teres major (which means beef shoulder) from the night’s host, the Westin; hard apple cider from Binny’s Beverage Depot; quinoa cups from NOW Foods; traditional vegan refried beans from Goya; and pancetta from Tony’s Fresh Market. 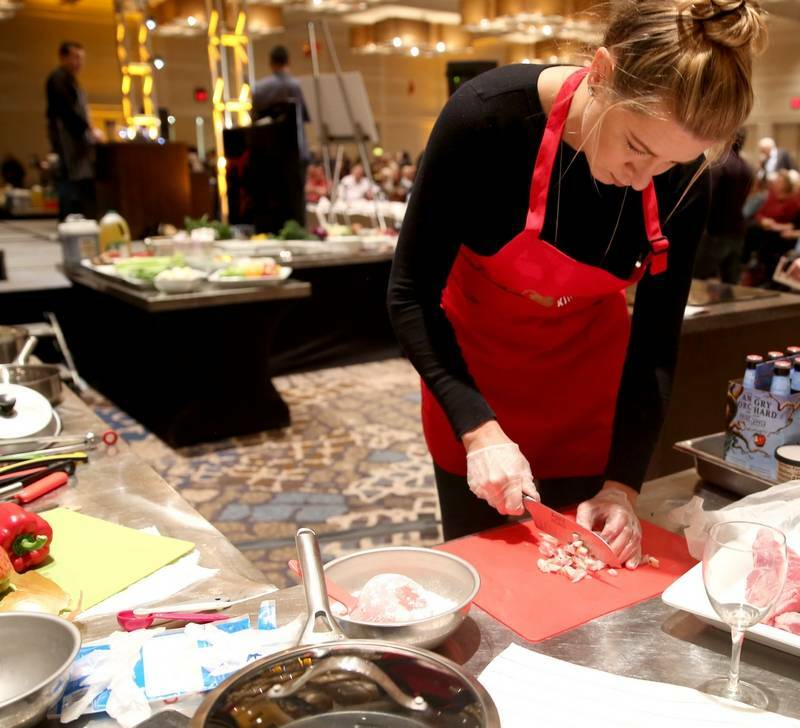 Along with her trophy, Schuttler’s prize package includes a Chef’s Table dining experience at Seasons 52 in Schaumburg, a Thermador Emerald Series Integrated Dishwasher courtesy of Novak & Parker/Thermador, cooking tools and gadgets from the Daily Herald, classes for two at Cooking Skills Academy, and gift cards from BlackFinn Ameripub and Tony’s Fresh Market. 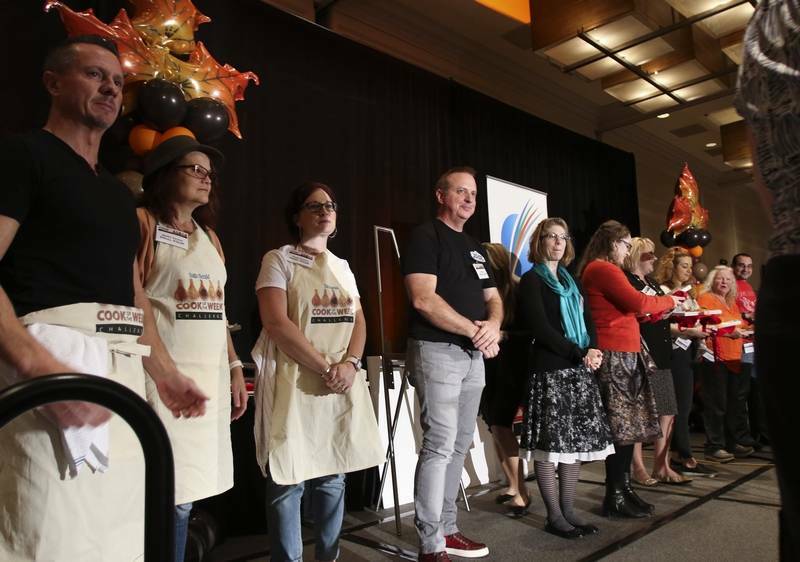 The other finalists will receive cooking classes for two at Cooking Skills Academy and gift cards from BlackFinn and Tony’s Fresh Market. 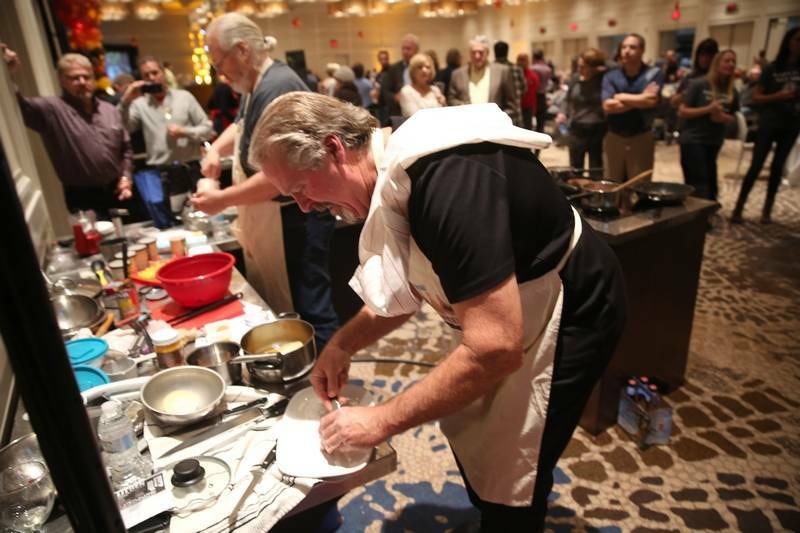 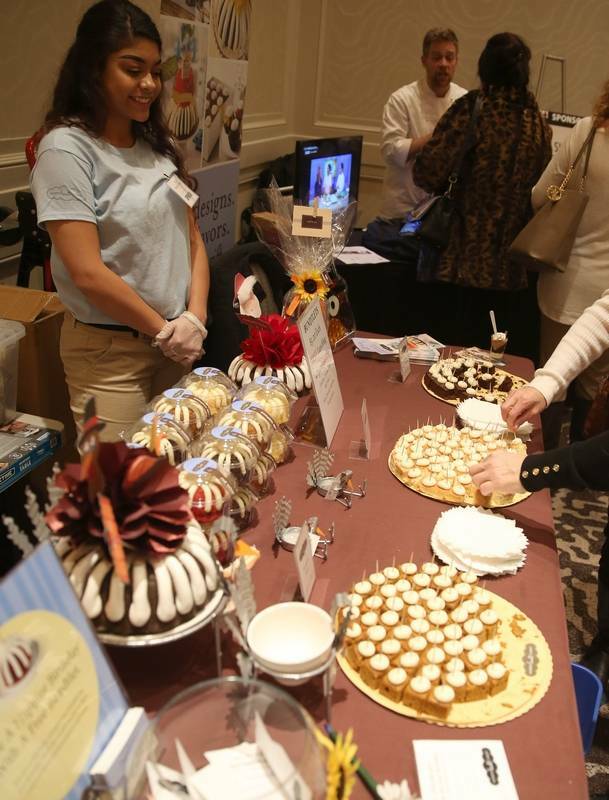 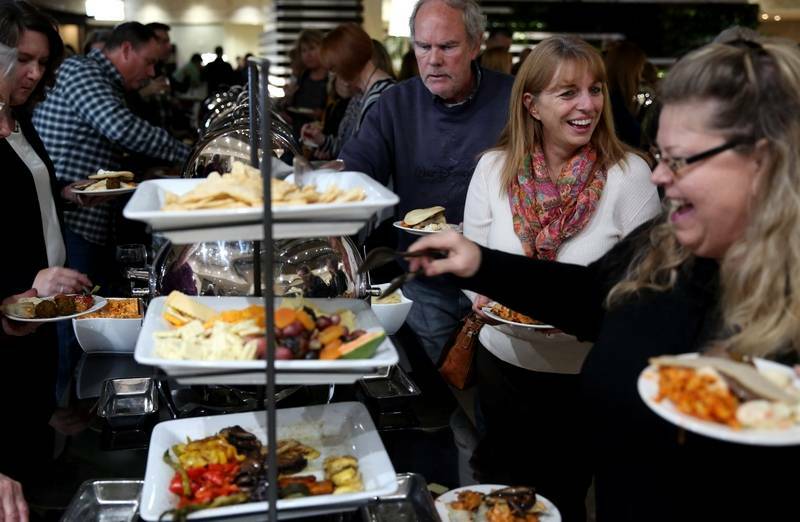 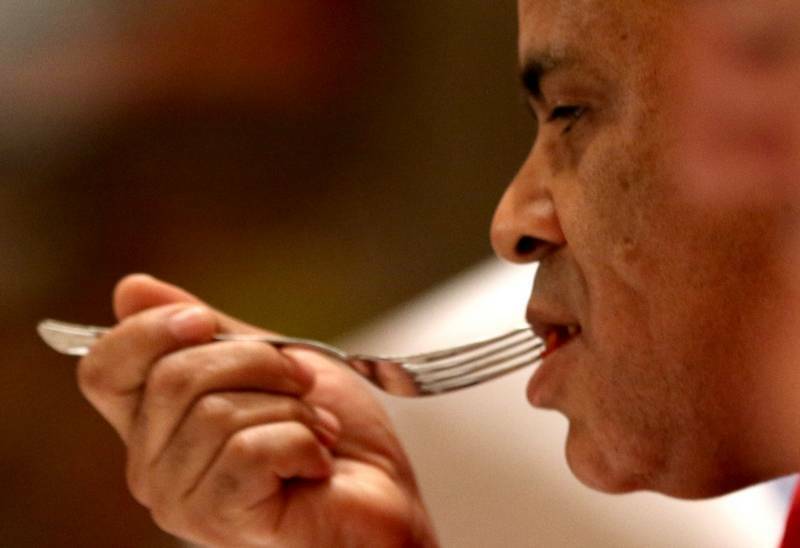 While the finalists cooked under a tight deadline, attendees relaxed while noshing on an appetizer buffet, taste-testing samples from sponsors and watching cooking demonstrations. 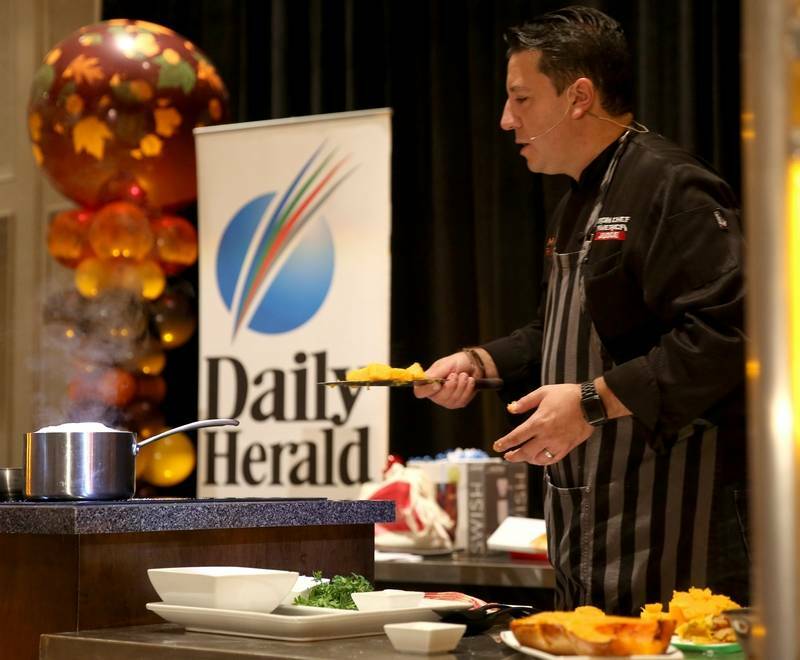 Proceeds from the raffle went to the Northern Illinois Food Bank. 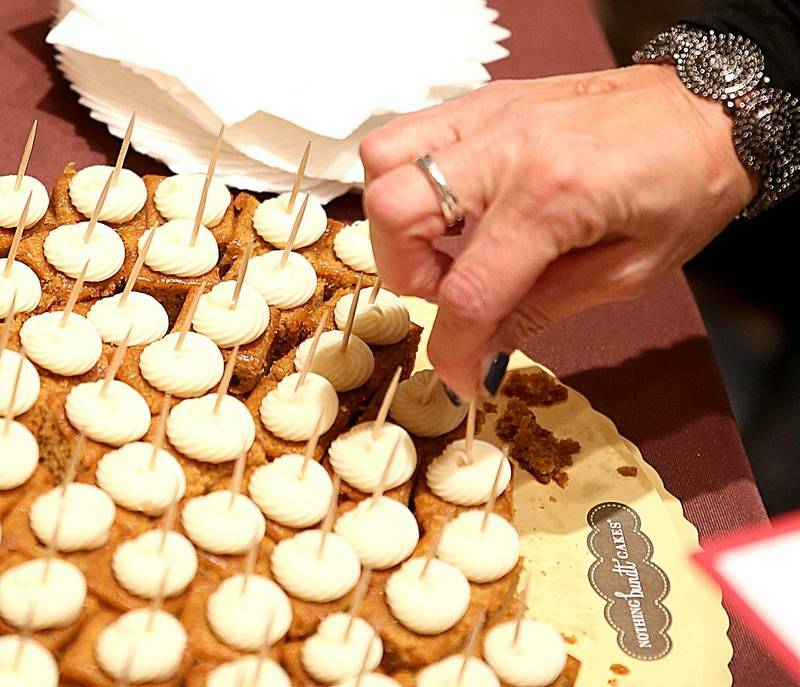 ← Congratulations to the Honorees of the 20th Annual Influential Women in Business!